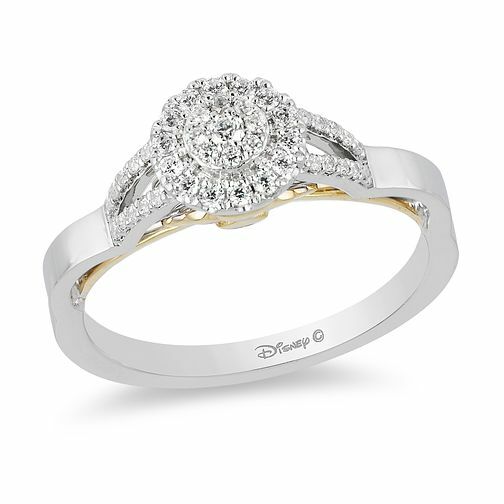 A captivating ring from the princess of the ocean, this shell ring is a magnificent piece from the Enchanted Disney Fine Jewelry collection. Inspired by Ariel, the ring features 9ct yellow and white gold plating with a cluster of diamonds. The yellow gold plated seashell sits elegantly underneath the diamond cluster. Total 1/2ct of diamonds.